We took up the offer to visit the David James Kitchens workshop: where customers can watch their kitchen being created to order. It is a mix of high-tech precision tooling - to get specifications just right - and traditional crafts as the experienced joiners ensure the best finish to these bespoke kitchens. It is why the kitchens in the Olney showroom look so special. 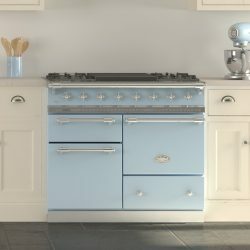 Talking to the kitchen designers (and you can see some of their tips for getting your dream kitchen in our blog by clicking here) it is clear that a great deal of effort goes into listening to what customers need. There is also a focus on precision in ensuring measurements are 100% accurate. 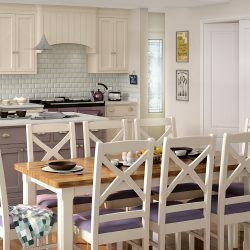 The High Street shop in Olney showcases Shaker style country kitchens the company creates. 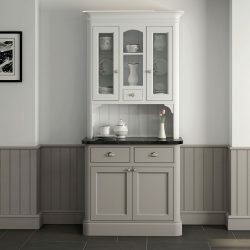 Kitchens are made to order, with a range of colours for the cabinets. Attention is given to flooring, lighting and other accessories to ensure the overall finished look. The company sells lighting, kitchen wares and other items from its High Street showroom. There is free parking on the road outside (The High Street). Designers will talk through your ideas and also visit the site of your new kitchen. 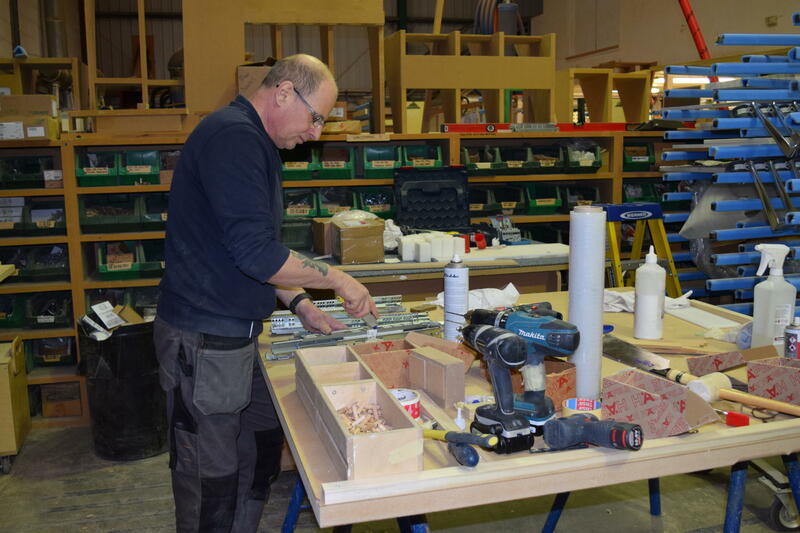 The joiners it employs can build dressers and a range of other fitted furniture in the workshop. Customers are invited to see their kitchen being built! 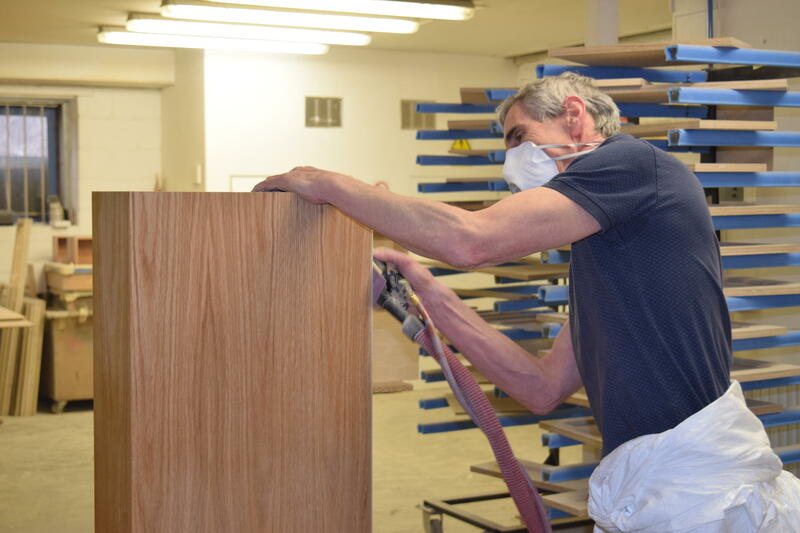 The company began as a joinery exclusively providing office furniture. But the owner created a dresser for his own kitchen that went down such a storm with guests this became a new direction for the business. The rest, as they say, is history. After magazine features and brisk sales as The Ideal Home show, the idea of creating complete kitchens followed. The Olney showroom, complete with beautiful accessories and lighting, gives a sense of what is possible. But customers get to customise so that it is truly an individual kitchen.